MUNICH, Germany -- Operations Transformation Forum 2018 -- Orange will this year start the procurement process for 5G technology that will allow it to run a more automated network than is currently possible, it emerged here this week. And the message for vendors is clear: If you can't support ONAP interfaces, don't bother responding. "We will request the supplier to provide automation on 5G -- that is a key criteria," he told conference attendees during an afternoon presentation. "On equipment, we are going to do an RFP at the end of this year for 5G" that will lay out the operator's automation needs. He added that the broad industry support for ONAP has provided much needed clarity for the next-generation network management and orchestration sector and that Orange plans to use ONAP as the single interface to all automated processes. 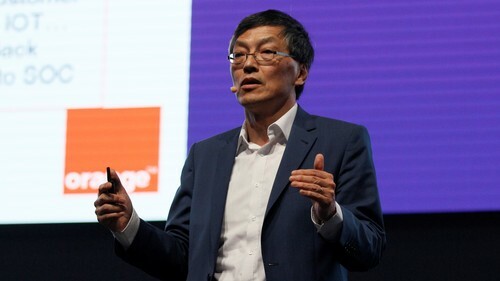 Orange will demand support for ONAP in its 5G RFPs, noted Orange's Roberto Kung. While further details have not been made available at this stage, automation has clearly become one of the industry's buzzwords during the last year as operators try to cut out human effort, improve service quality and reduce costs. The need for more automated systems may grow with the arrival of 5G networks, which will include too many configurable parameters for an operator to manage in the old-fashioned manual way, according to many equipment vendors and operators. Kung's revelation of plans at a Huawei Technologies Co. Ltd. event suggests the Chinese equipment giant could play a prominent role in Orange's 5G deployment, although it has not yet been named as one of the vendors participating in Orange's trials of 5G technology. For all the latest news from the wireless networking and services sector, check out our dedicated mobile content channel here on Light Reading. Orange has talked about launching its first commercial 5G services in the 2020 timeframe as it looks to relieve congestion on networks in busy urban hotspots. The telco has yet to secure new 5G spectrum licenses, although French regulator Arcep recently indicated plans to hold an auction of frequencies in the 3.5GHz band this month. The call for an RFP, a traditional way of selecting suppliers, comes as some parts of the industry question if RFPs are an outdated practice in the age of software and "DevOps."